Some Crosscall Mobile Phone Manuals PDF are above the page. Crosscall is a French mobile phone brand created in 2009. 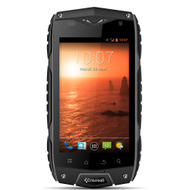 It is specialized in waterproof and resistant phones. The company founded in 2009 by Cyril Vidal is based in Aix en Provence. 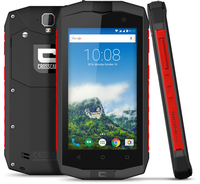 Today, Crosscall mobiles and smartphones are mainly distributed in sports shops, professional equipment chains, mobile operators, as well as on the Internet. Cyril Vidal, the founder, worked for several years in the construction sector and regularly practiced jet ski. He realizes then that there is no mobile phone adapted to his professional environment on the building sites and also allowing him to be reassured during his outdoor sports activities. In 2009, he founded the company Tech & Me, which took the name of the Crosscall brand three years later and markets waterproof telephones. In 2010, a first agreement was signed with the Decathlon chain of stores for the distribution of products. In June 2012, Crosscall launches the first waterproof mobile phone Shark. The year 2014 is also marked by the marketing of the first mobile 100% Crosscall developed by research and development teams. The team strengthens in 2015 with the arrival of a marketing director specializing in brand building, an eco-system manager, then a supply manager the following year. Crosscall raises 4.5 million euros in March 2016 from ACG Management. This fundraising aims to support the deployment of the brand internationally and particularly in Europe. 2016 is also marked by the arrival of David Eberlé as a partner and Vice President of Crosscall. Previously president of Samsung (Owner Manuals padge) Electronics France, he joined the management committee of the company with responsibility for international development and referencing products for mobile operations.